May 12, 2018 – Senior Football Player, Nate Robinson, was awarded the NEISD Athletic Scholarship sponsored by Coca Cola. Robinson plans to attend Texas A&M University. The award was presented by Karen Funk, Executive Director, NEISD Athletics (pictured with Robinson). 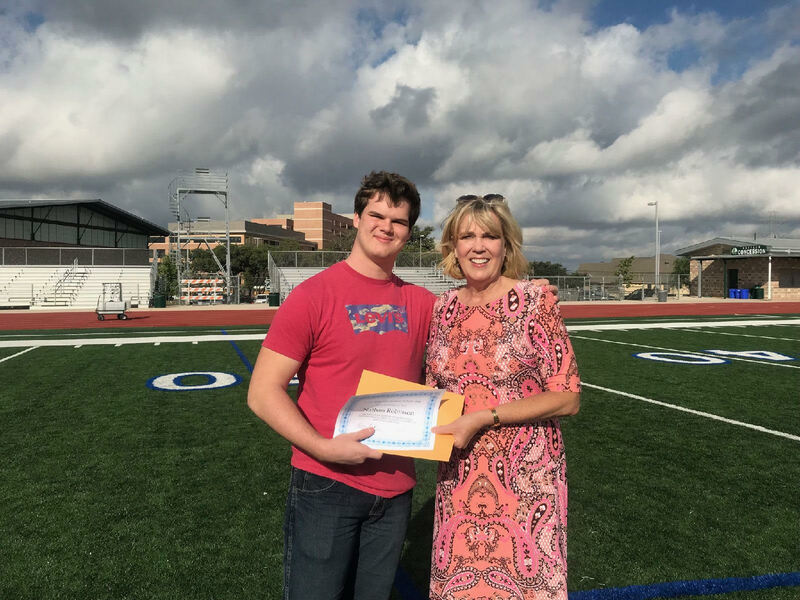 The NEISD Athletic Department awards $2500 scholarships to only one male and one female graduating senior who has earned a varsity letter during their high school career and plans to continue their education at a higher level institute. Best wishes Nate in your future endeavors!